Los Angeles is for dreamers, nature-lovers, entrepreneurs, foodies, and so much more. Do you love sunny weather? Can you imagine yourself in a big city? If so, then Los Angeles might be for you. If the city’s population is any sign of how great it is to live in the area, then you are in for a real treat. With nearly 4 million people residing in the city, a move might require some adjustments. For one, you will have to become accustomed to jammed freeways. Don’t worry. We are here to help. At National Dispatch, we offer hassle-free car shipping services to make your life easier. Regardless if you are going to LA for business or personal reasons, we can relieve some of the stress associated with the move. We rely on our cars to get us from Point A to Point B, day in and day out. Cars are a real luxury and convenience. However, when it comes to moving, they can become a real pain. Taking a road trip can be daunting, as you have to spend hours trapped in a small metal box. Car shipping is a better solution, and we will tell you why. As we have already mentioned, traveling hundreds or thousands of miles takes up a lot of your time. This is time that could be better well-spent. Rather than spending your time driving, wouldn’t you rather be walking on a beach, hiking up a mountain, or just relaxing on your couch? All this is possible by using car shipping services. Hop on a plane, and leave the rest to us. With the possibility of traffic, breakdowns, inclement weather, and reckless drivers, driving is risky. In addition, when you travel long distances, you put a lot of wear and tear on your vehicle. If you want to bypass these risks and avoid the stress, have a professional transport your car. You may think that it is expensive to ship a car, but consider how much it would cost you to drive. Expenses add up quickly when you have to pay for gas, food, and hotel stays. You will also want to set aside an emergency fund for maintenance and such. Car shipping is well-worth the cost and is an efficient way to get your car to its destination, safely and quickly. With sunny skies almost year-round and close proximity to the Pacific Ocean, it is not wonder why people envy LA weather. There are also numerous opportunities that lie around every corner. People flock, by the thousands, to get a glimpse into LA life. 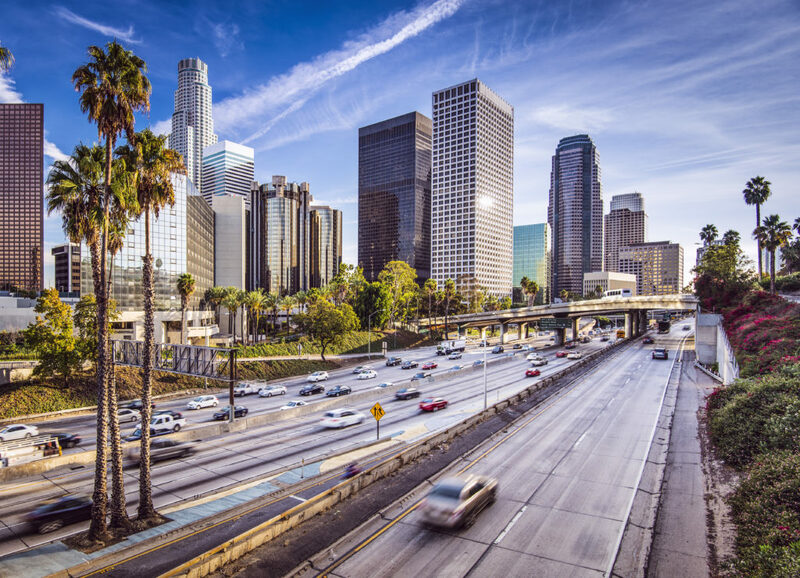 Whether you are moving to or just visiting LA, here is some useful information about the city. Just like New York has the five boroughs, Downtown LA has many different districts and neighborhoods that each have their own flare. Below, you will find some of the most popular areas. Flower District – The Flower District is where you go to find any kind of flower imaginable. Imagine a beautiful flower market on steroids. Arts District – The Arts District is an industrial area turned art community. Here, you will find galleries, studios, graphic design firms, and many other places to practice and display art. South Park – No, not the show. South Park is home to many entertainment and convention venues, such as the STAPLES Center, LA Live, and the Nokia Theatre. Little Tokyo – In this part of town, you will be able to smell, taste, and hear Japanese American Culture. There are many restaurants, museums, shrines and theaters, in celebration of the Japanese Americans. Jewelry District – At the second largest jewelry district in the world, you will be able to find any kind of stone, watch, ring, necklace, or bracelet that you could ever want. There are more than 5,000 retail and wholesale shops in the area. Fashion District – Here, you can find the hottest and latest fashion trends. Designers, models, students, stylists, and buyers all come to this location to get their hands on the latest designs. For first-timers coming to the area, there are some pretty obvious things to do in LA. For example, you can hike to the Hollywood Sign, shop on Rodeo Drive, or visit Malibu. However, here are some other things that are fun to do that are not major tourist attractions. Barnsdall Art Park – On warm sunny days, this beautiful art gallery makes a great picnic spot. It overlooks the city and the Hollywood sign but will not give you the feeling of being on Hollywood Boulevard. Echo Park – Located near downtown LA, Echo Park is a beautiful destination. There is a greenway and a lake that you can rent boats for a day of relaxation on the water. While you will spot some tourists, it is a local favorite. 626 Night Market – Located in one of the suburbs of LA, the 626 Night Market is a fun summer food festival that will have your inner foodie making an appearance. Be ready to eat some bizarre foods that you never thought you would enjoy. Griffith Park Hike – If you love to hike, than LA is a great city. One of the nice things about LA is that you do not have to leave the city to find decent places to hike. While the tourists tend to go to Runyon Canyon, making it very busy, you can head to Griffith Park. There, you will find 50 miles of trails. National Dispatch is a leading provider of auto transport services. No matter where you need to ship your car in the United States, we can help. We ship cars, trucks, vans, SUVs, and motorcycles. We offer services to meet your unique needs, catering to your budget and schedule. If you are interested in our car shipping services, we encourage you to request a free, instant car shipping quote. No personal information is required. To secure a date or find out more information, call us at 800-321-2051. Everyone knows how difficult a move can be, but it does not end once you make it to your destination. Being in a new city can present challenges, because you must find reliable companies to do business with. Who are you going to take your car to when it requires maintenance? Here are our recommendations for the Los Angeles area.